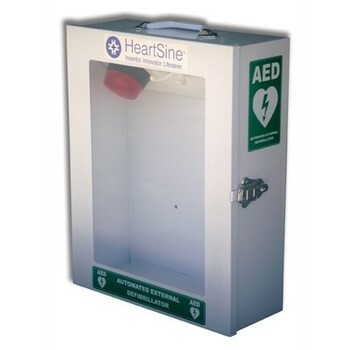 There are over 30,000 cardiac arrests in the UK each year that take place outside of a hospital environment, with only 1 in 10 people surviving to be discharged from hospital. Our survivial rate is dismall compared to other developed countries. One reason for this is because of our poor bystander intervention rate. 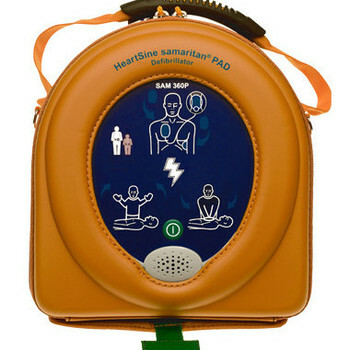 When a cardiac arrest occurs the casualty has 3 minutes to survive. 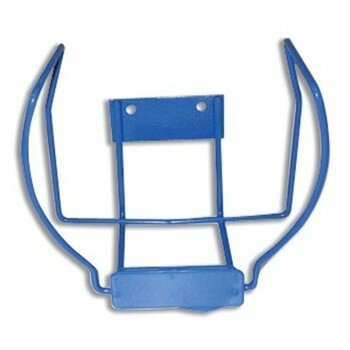 In that 3 minutes they require urgent CPR to ensure the brain is not starved of an oxygenated blood supply. 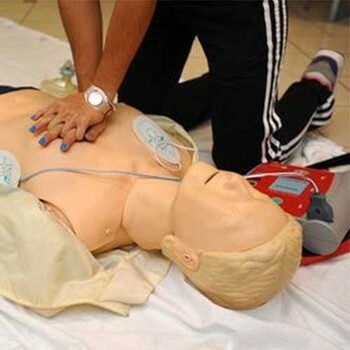 While performing CPR is a critical factor, and is the right action to take, using an Automated External Defibrillator combined with CPR is a highly effective way to save a life, and is completely safe. 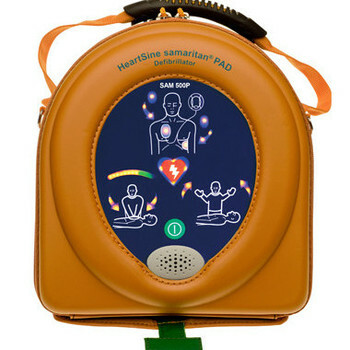 The HeartSine range of Samaritan Pad defibrillators are an innovative and easy to use device, specifically designed for members of the public to use. 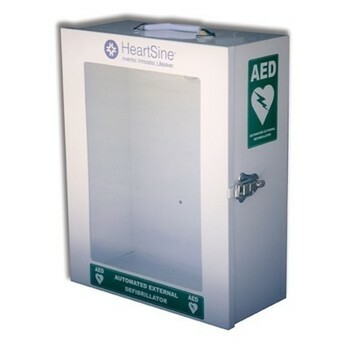 It's a fully automated system that analyses heart rhythm and automatically delivers an electric shock, if necessary. 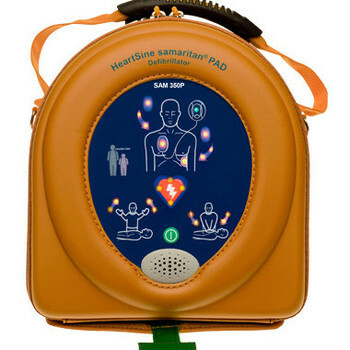 The Samaritan Pad range of AEDs are the ideal workplace defibrillator, being supplied complete with carry case that does not have to be removed to use the machine, comes complete with a handy basic life support kit in the back pocket, has the highest IP6 rating again dust and water ingress so can be safely used outside in the rain and snow, is protected by its case from accidental drops, has a 10 year warranty and a battery life of 4 years. 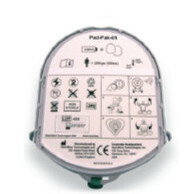 It is fool-proofed, simple, easy to use with a built in metronome, visual display and audio commands it directs the first aider on what to do and when to do it.